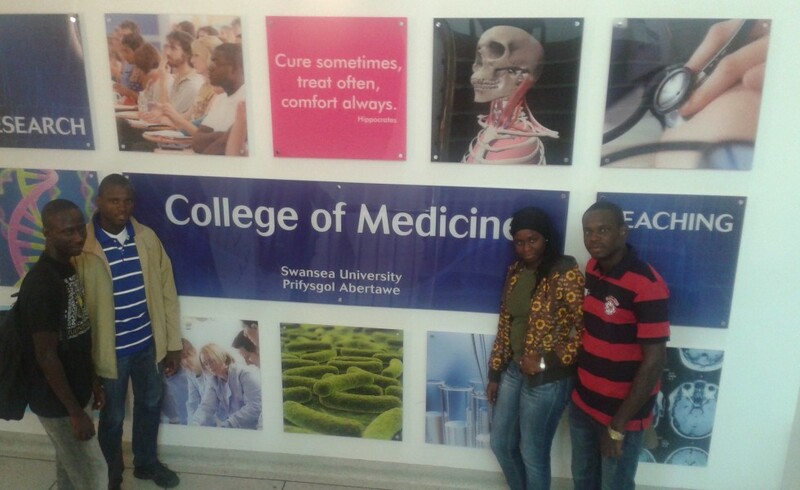 The Swansea Gambia Link society is pleased to welcome four Gambian elective students to the UK. After months of arduous planning and the dedicated work of our local committee, we successfully secured four visas and flights for Bella, Kitabu, Saikou and Yafatou – four final year medical students from The Royal Teaching Hospital of Banjul. We are so excited to have them here and can’t wait to show them Swansea. Throughout their trip, they will be attending lectures alongside the Swansea GEM 1st and 2nd year cohorts. They will also see how medicine is practiced in the UK by shadowing various doctors and surgeons in clinic and theatre in Singleton and Morriston hospitals. Of course, there will be trips to the Mumbles, Cardiff and London as well – just to make sure they get a real flavour of Wales and the UK. Do be extra hospitable to our special guests if you see them around campus or the teaching hospitals. We want to make sure they really enjoy their trip to Swansea and see how friendly our lovely city is. Stay tuned to our website and twitter page for more updates.